December 23, 2010, my last day seeing my students this year. Today they will receive their report book, after studying for one semester. These days we’ve been busy preparing the book reports for the children, preparing them to perform on stage celebrating mother’s day. Ya… ya… Indonesia celebrating mother’s day on 22 December, but because of its close coincidence moment, finally we ‘wrapped up’ these event together. Mother’s day and progress report for 2nd term in the end of this semester. 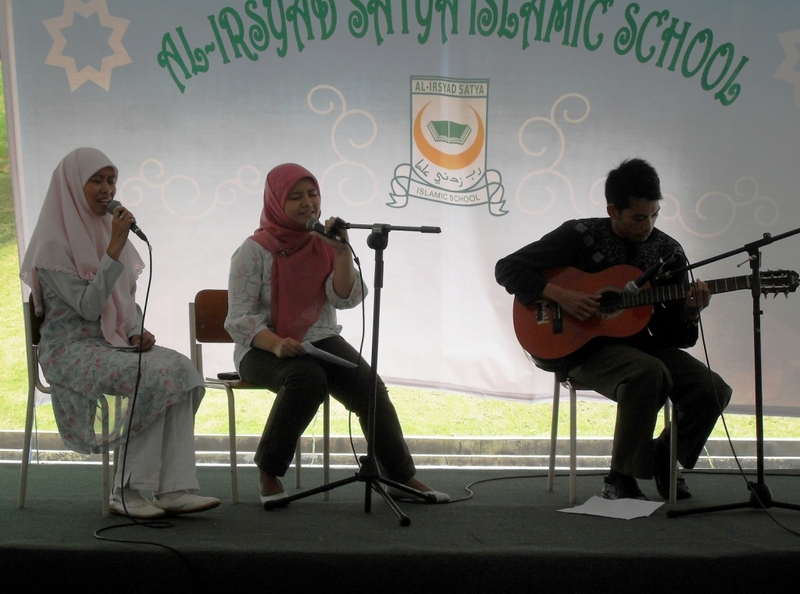 The students came on stage for different kind of performances. The pre-schoolers did some dance performance, silat attraction which turned out to be a funny performance of those cute faces 😉 Some of the students ‘packed out’ in one big bunch to sing. Primary 2 sing my song, Doa untuk Ayah dan Ibu (Prayer for Father and Mother). This entry was posted in School Event and tagged Achievement, Al Irsyad Satya, event, my students, school, song, teacher, tribute to mother. Bookmark the permalink.